Happy Easter to all egg heads, car guys, and bunny lovers out there in cyberspace. In celebration of Easter, the ragtag crew who run this website are taking the day off from writing about the best used cars on the interwebs to spend the day with our family(s). We hope you do the same. Happy Easter, Eostre, or birth of Mariah Carey -- whatever you celebrate today, just enjoy it. Image of the Easter Rabbit from oppositelock. 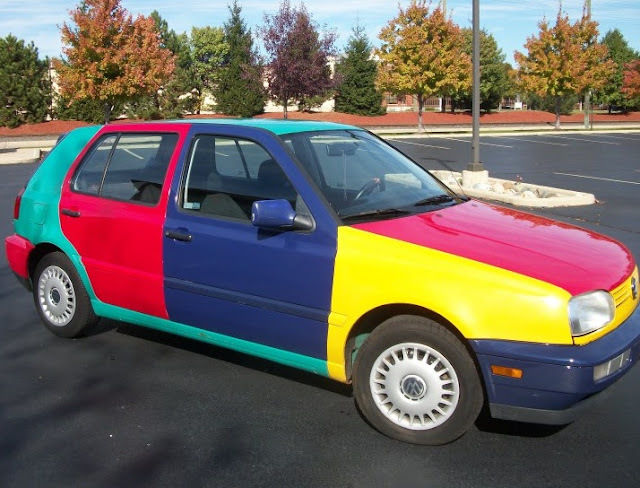 Bobinott -- those are some nice examples of how not to paint a car! Happy Easter! Well, shucks I had to do sumthin' with all them left over cans of paint.... At least I used a roller, to get a nice finish, ya know.